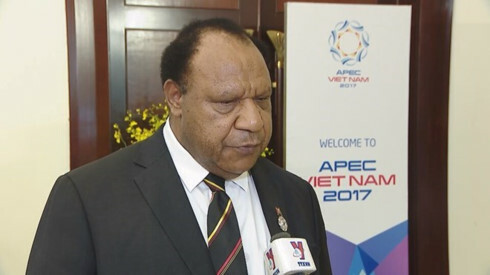 He added that President Xi Jinping would visit PNG and attend the APEC Economic Leaders Meeting in November, and that both sides should take this opportunity to promote bilateral cooperation and deepen cooperation in the ’One Belt, One Road’ initiative as the countries moved into a new era. PNG is now listed on China’s FTA Network website as being a country "under consideration", along with Fiji — the site provides no further information on the status of the talks. "Clearly because of the timing of which they [China] have decided to provide support, particularly in infrastructure, and because we’re new to the partnership there could be challenges but these are things that we will work together to address." The announcement comes just days after two large Chinese-aided projects were opened in Port Moresby as part of the ’One Belt, One Road’ initiative. "If the patch of the Silk Road can come down further from Myanmar, Vietnam down to Indonesia and then into Papua New Guinea, we’d be welcoming that because that improves our supply chains, it improves our value chains in exporting into the largest market in the region," he said. "Certainly from a PNG point of view, we would be in alignment with the aspirations of President Xi Jinping in infrastructure development." When asked whether the Australian Government was concerned about the developments, a spokesperson for the Department of Foreign Affairs and Trade (DFAT) said that "Australia welcomes regional efforts to promote trade and economic growth through FTAs."